The ideologue and driving force behind HumSub TV is Sajid Ishaq, who has long been the flag-bearer for peace and interfaith harmony not only within Pakistan but at a global level. In 1995, Sajid Ishaq completed his Master’s Degree in Business Administration from Manila, Philippines. His formal education has served as the foundation for his ability to develop keen leadership skills, solid business judgment, and excellent communication abilities. On his return to Pakistan he put his abilities to best use by establishing a local Non-Governmental Organization in Islamabad to promote interfaith harmony and peace in the region through different development projects. His mission has been to assist the marginalized communities irrespective of their faith, cast, and creed and to strengthen them economically and educationally to highlight the importance of Peace and Interfaith harmony. He did his Community Development studies from University of Birmingham, Sally Oak Collage UK and proceeded to Carleton University, Ottawa, Canada for Development Evaluation Study. He also pursued various short courses from different countries including USA, Canada, United Kingdom, and Europe. In a short span of time, under the extraordinary guidance of Sajid Ishaq, the organization was able to establish its presence in four provinces of Pakistan, namely KPK, Punjab, Sindh and Baluchistan, encompassing 45 districts. Sajid Ishaq holds strong reputation in civil society organizations, national and international community, Church, media, and political circle and is regarded as a very strong leader with great abilities. He is also considered the Torch Bearer of Peace and Interfaith Harmony at National and International levels. He is playing an essential role in creating awareness among people of different faiths regarding the importance and values of interfaith harmony, peace, tolerance and respect. He envisions creating a new generation of peace workers, peace defenders and peace negotiators for catalyzing positive changes in the community. They would be the ambassadors of peace working towards prevention of ethnic conflicts and religious extremism to promote sustenance of interfaith and intra faith harmony in the multi-cultural scenario of Pakistan and in other countries. His aim is to help Pakistan become a true democratic State. He struggles for equal rights for all Minorities; Access to Justice, Quality Education for All and for the abolishment of discriminatory laws that discriminate on the basis of religion. He believes that no one can change the past but the future is in our hands; we can learn from errors made by our elders and rectify them by not repeating the same mistakes, thus making an effort to open our hearts to positive change in every way. He strongly believes that peace between nations is possible only when there is peace within communities and among people of different faiths and beliefs. In order to fulfill his mission he engages in Advocacy and Lobbing and holds dialogues between different religious scholars, students, teachers, policy makers, parliamentarians and clergy. Sajid Ishaq has extraordinary talents and qualities in his capacity as an Interfaith Community Leader. He is among the top Interfaith Community Leaders and possesses abilities to promote interfaith harmony, peace, tolerance and respect, negotiate deals, analyze problems, and create ideas that will empower people and help integrate them into the social fabric. Sajid Ishaq is known as a most influential advocate and promoter, on a global scale, of interfaith harmony and peace among minorities. He has accomplished many significant goals and has made many noteworthy contributions towards this end. Consistently, he has been at the forefront of benevolent causes, selflessly helping those in need. He has been providing Humanitarian Assistance to victims of various calamities irrespective of their cultural, religious and provincial differences. 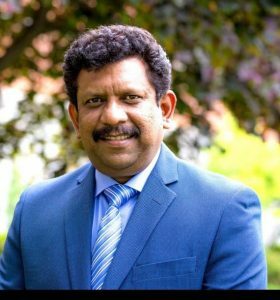 Sajid Ishaq holds the highest qualifications in the field of Interfaith, Community Leadership, specifically in the areas of education, communications, charitable campaigns, and special projects. He has excelled in his profession, worked directly with world leaders, and reached the top of his field because of his talents, vision, qualifications and skills which are simply extraordinary. He is among the most prominent Pakistani Christian in his field.